Give your guests an excuse to warm up to a cup of delicious, rich hot cocoa - they'll be glad you did! 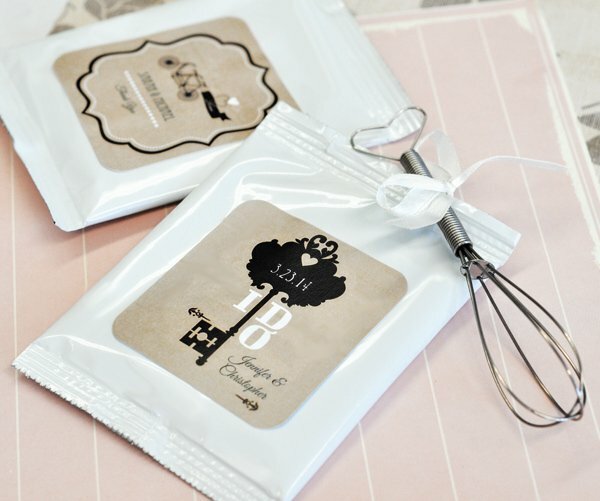 Our Vintage Wedding Personalized Hot Cocoa packets are styled in throwback designs for a timeless appeal that lasts. 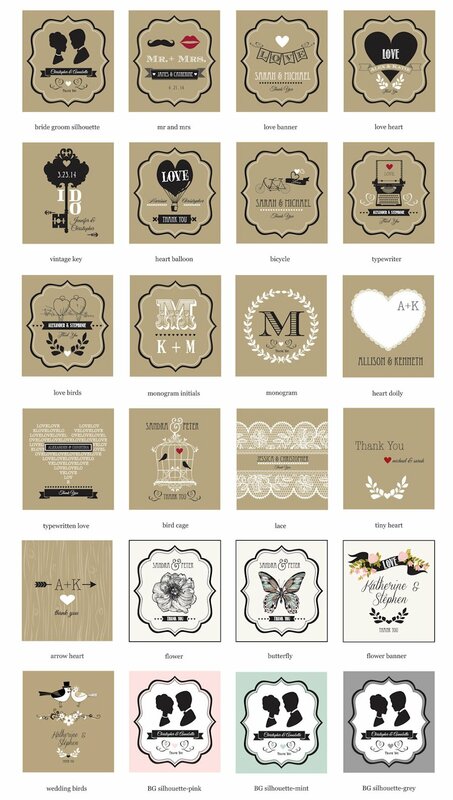 They offer numerous personalization options to help you create the right look for your event. Each 5" x 3.25" white gloss pouch contains 1 oz. (single serving) of Premium Blend hot cocoa mix. Directions are on the back. 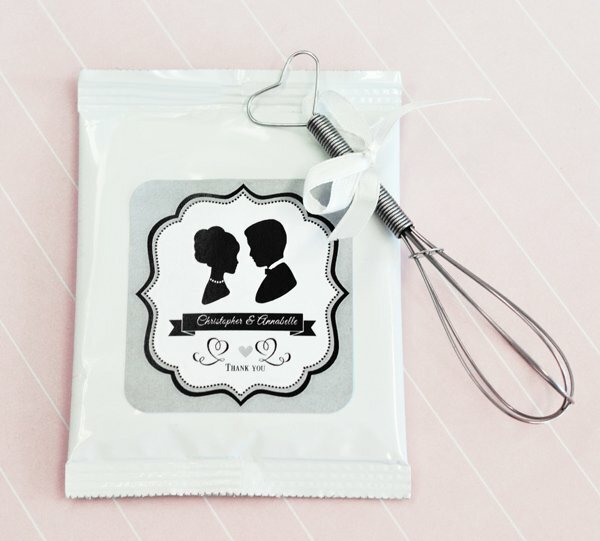 Optional mini-whisks arrive with a white satin bow and a heart shaped handle. The handle has a small opening allowing you to slip it through a hole. For instance, punch a hole in the packet and slip the heart handle of the whisk through it for an extra-special gift presentation. Labels arrive separate from the packets, some assembly required - attaching the self-stick labels to the packets.